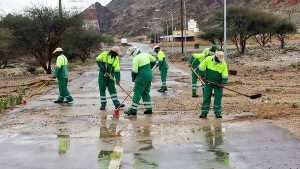 Following heavy rains in the wilayat in the past few days and the damage caused, Nizwa municipality authorities have began inspection of the locality and have started the clean-up process. After a quick evaluation workers armed with the necessary equipment were on the job on Thursday in efforts to restore normal life and remove obstacles in streets. 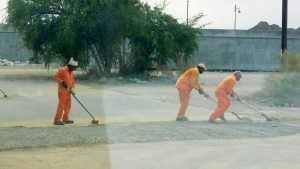 Municipal workers were seen removing the debris accumulated following the rains. 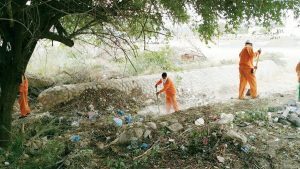 The overflowing rain waters from the wadis brought a lot of waste and debris, like tree trunks and large amounts of silt, hampering free movement of traffic. In several places water had to be pumped out. 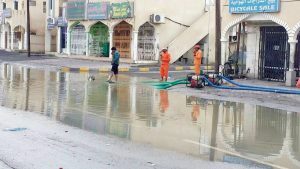 The municipal workers were engaged in carrying out the works under difficult conditions as the wilayat has been receiving continuous rains. Though the skies were clear on Thursday evening, it had rained slightly in the morning. 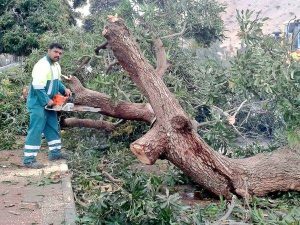 The municipal authorities said immediate action is being initiated as soon as it receives any grievances regarding civic amenities.